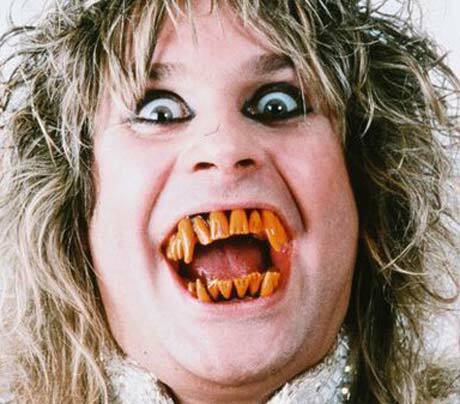 Update: Ozzy Issues Statement Over Black Sabbath Lawsuit, Hopes to "Do the Right Thing"
Well now we just feel bad. After reporting that former Black Sabbath front-man Ozzy Osbourne is suing ex-bandmate Tony Iommi for 50 percent of the band's trademark and an undisclosed amount of money from merchandise sales, we find out the "Prince of Darkness" is actually just looking to do some good. We can only assume this following statement was issued to make that clear and was posted online presumably after reams of "what are you doing?" flare-ups on message boards around the world when the news hit. In full, Ozzy's statement reads: It is with great regret that I had to resort to legal action against my long-term partner, Tony Iommi, but after three years of trying to resolve this issue amicably, I feel I have no other recourse. As of the mid-'90s, after constant and numerous changes in band members, the brand of Black Sabbath was literally in the toilet and Tony Iommi (touring under the name Black Sabbath) was reduced to performing in clubs. Since 1997, when Geezer, Bill and myself rejoined the band, Black Sabbath has returned to its former glory, as we headlined sold-out arenas and amphitheaters, playing to upwards of 50,000 people at each show around the world. We worked collectively to restore credibility and bring dignity back to the name Black Sabbath, which led to the band being inducted into the UK and U.S. Rock & Roll Hall of Fames in 2005 and 2006, respectively. Throughout the last 12 years, it was my management representatives who oversaw the marketing and quality control of the Black Sabbath brand through OZZFEST, touring, merchandising and album reissues. The name Black Sabbath now has a worldwide prestige and merchandising value that it would not have had by continuing on the road it was on prior to the 1997 reunion tour. first step that it will ultimately end up that way. We've all worked too hard and long in our careers to allow you to sell merchandise that features all our faces, old Black Sabbath album covers and band logos, and then you tell us that you own the copyright. We're all in our 60s now. The Black Sabbath legacy should live on long after we have all gone. Please do the right thing. See, it had nothing to do with money in the first place, folks. It's all about saving the legacy Ozzy ditched in 1980. Oh yeah, and in 2001 so he could finish recording Down to Earth. Great move. Ozzy has some great points though. By the mid-'80s, the name Black Sabbath was sucking canal water through party straws and the initial reunion picked it up out of the gutter. Still, all of that booze and narcotics must have wreaked havoc on the guy's basic sensibilities if "the trademark being owned by the four of the equally" means he gets a 50 percent stake, the little dreamer.